Homeless women and women on low incomes will benefit from a new service set up to provide free sanitary products at libraries in West Norfolk, including Downham Market. ‘The Tricky Period project’ involves the libraries taking donations of products and providing them to people who cannot afford them, with no questions asked and no proof of eligibility. 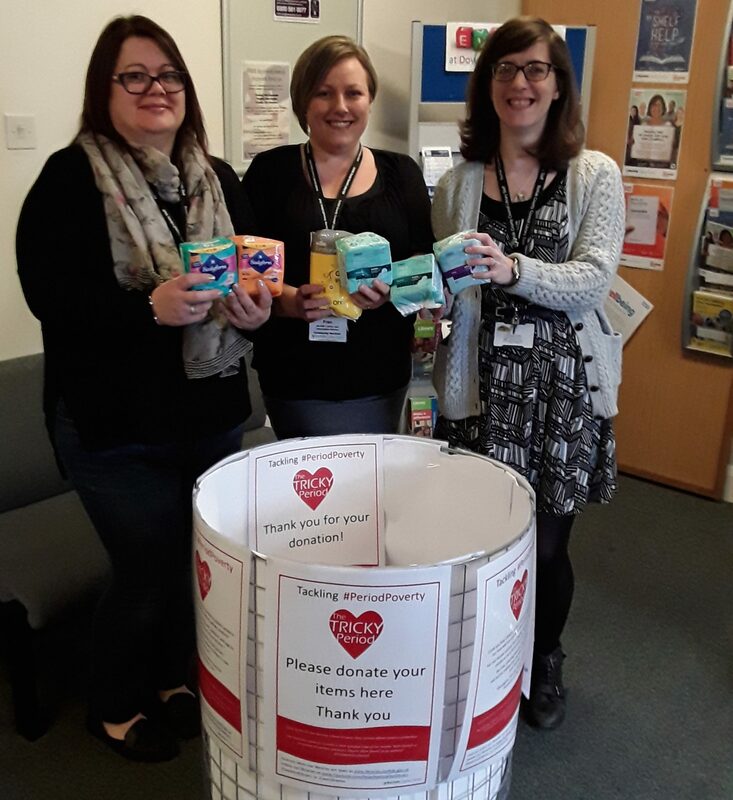 Staff at West Norfolk libraries have be taking in donations of tampons, sanitary towels and carrier bags since January for the scheme which started in February. A survey by Plan International revealed one in ten school girl’s families have been unable to afford sanitary wear. Channel 4’s Dispatches programme estimates that, in 2017, there were a total of 68,000 women in temporary accommodation, emergency shelters and sleeping on the streets across England and Wales. Caroline continues, “We’ve given around 150 packs of pads and tampons to local organisations, refuges and individuals in just 2 months and taken in donations of around 500 packs. We have a festive themed display in The Norfolk and Norwich Millennium Library about periods and the menopause with a “Tampon Tree” as a focal point to get people talking and help to reduce the stigma, with a comments book for people to let us know what they think of the initiative. Library staff have been hugely supportive of starting up this service and we have already had some donations.” Tesco in Downham Market have also donated provided lots to to the project too. Order forms are available in Downham Market Library (as well as with Dersingham, Gaywood, Hunstanton and King’s Lynn) at the staff desk. Customers can tick the products they require and hand in their form at the desk and receive the items they need. The service is available during library opening hours. The order form can also be downloaded here. This was posted in News on February 14, 2018, by Robert Shippey.